Volcanic eruptions, ice and the Northern Lights are symbolic of Iceland – and you can enjoy them all in 25 minutes at THE CINEMA, at the Old Harbour, in downtown Reykjavík. The films shown at the Cinema are all made by renowned Icelandic film maker, Valdimar Leifsson, and The Cinema is run by him and his family. Its setup is a bit like coming into a family home; while watching the films on a big screen, you can choose to sit in a sofa or cosy chair and enjoy coffee, hot chocolate or other refreshments by candlelight. 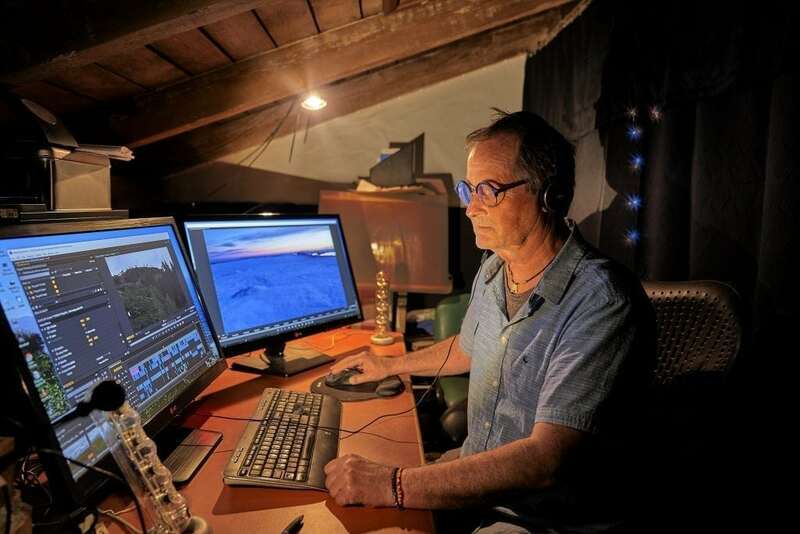 Valdimar (everyone goes by their first name in Iceland) studied filmmaking in Los Angeles, California and has been working in his field ever since he returned to Iceland, making mostly documentaries and educational TV shows, shown on the State TV of Iceland. When the opportunity arose in 2010 to open a small cinema at the Old Harbour in Reykjavík, he saw a great niche to offer visitors the Icelandic nature through his films and slow down a bit on travelling and filming throughout the country (though he has not done that yet). 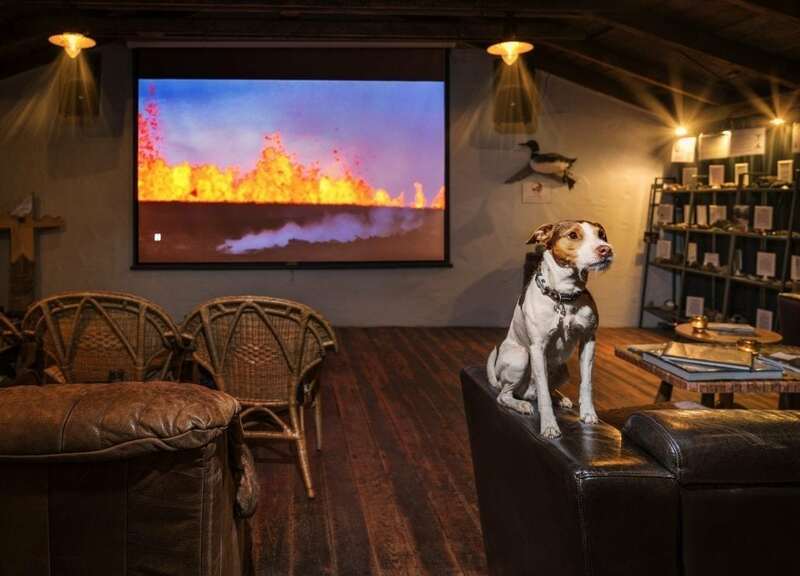 It took a lot of time and effort to make the old fishermens’ dwelling and working place at Reykjavík’s Old Harbour into the cosy cinema it is today. When transforming it into a cinema, it was decided to let the old place keep its charm and original look as much as possible. Visitors often comment on the good vibes they feel while they enjoy the shows. In 2010 the great Eyjafjallajökull volcano erupted and Valdimar was the first to be ready with a film about its eruption – which, of course, is shown at The Cinema. 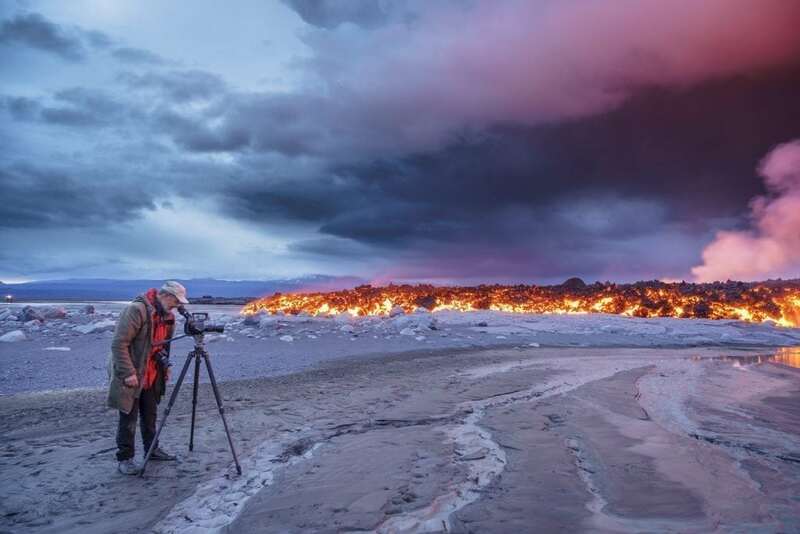 It is a short film, intended to give visitors the experience both the power and the beauty of nature when it decides to spews its innards up into the air and the threat and danger volcanic eruptions can cause. 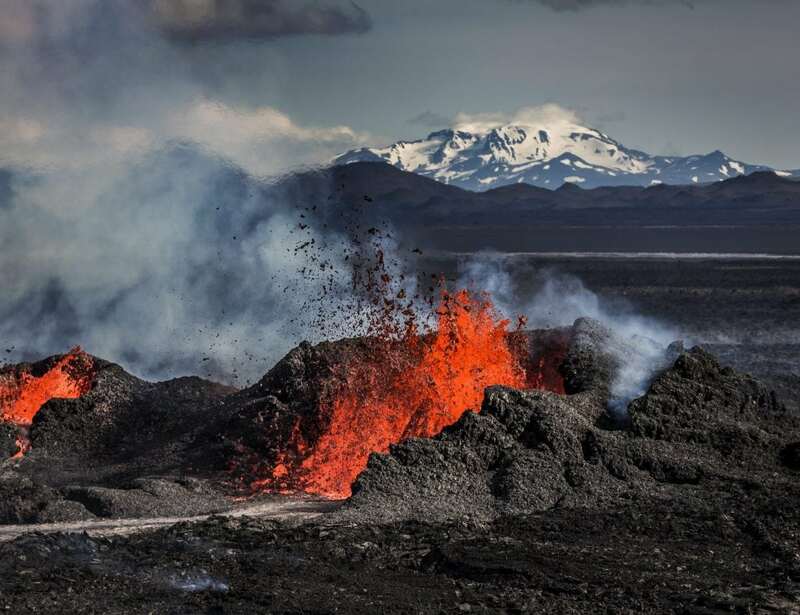 When asked, viewers said they wanted to know more about volcanic activity in Iceland, therefore it was decided to make the film “Birth of an Island – the Making of Iceland”. 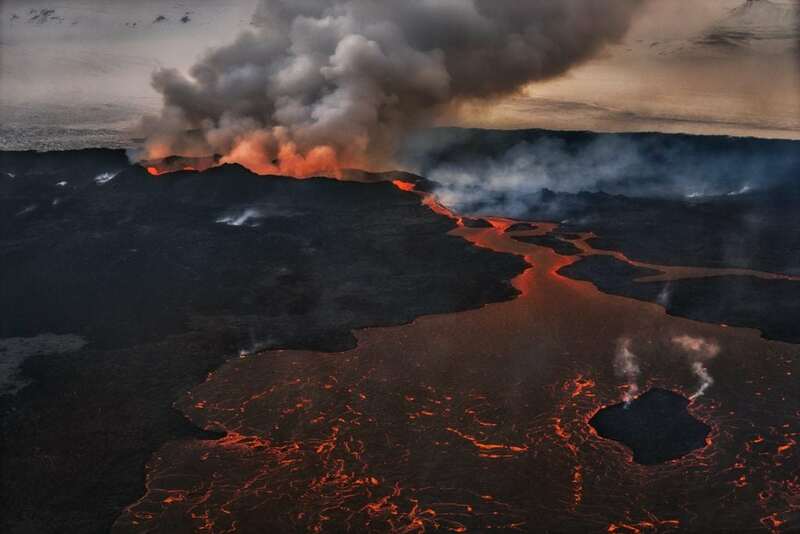 It shows and explains why Iceland is one of the most volcanically active regions on Earth, expecting an eruption every 3rd to 4th year (the last one was 2014-2015). Then people began flocking to Iceland during the winter months from all over the world. Why was that? 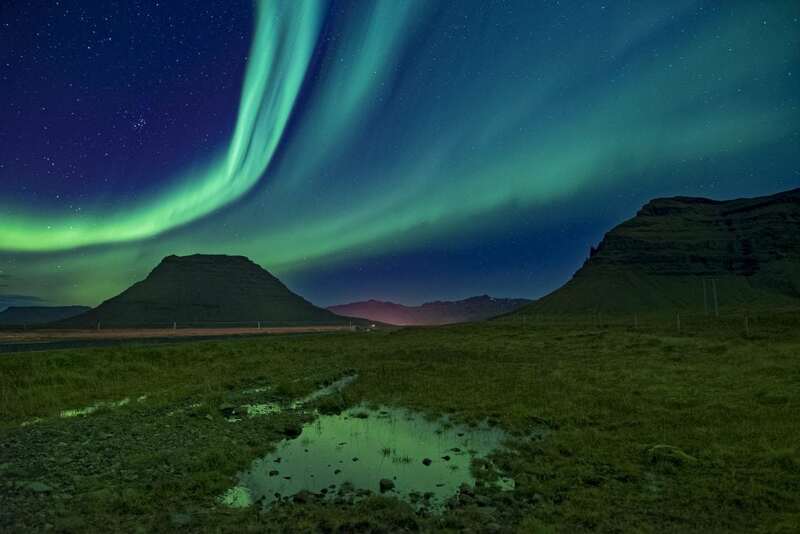 Well, the Northern Lights are often high in the sky above Iceland, making it one of the best places to see them – providing all conditions are right. What are the right conditions for seeing them? 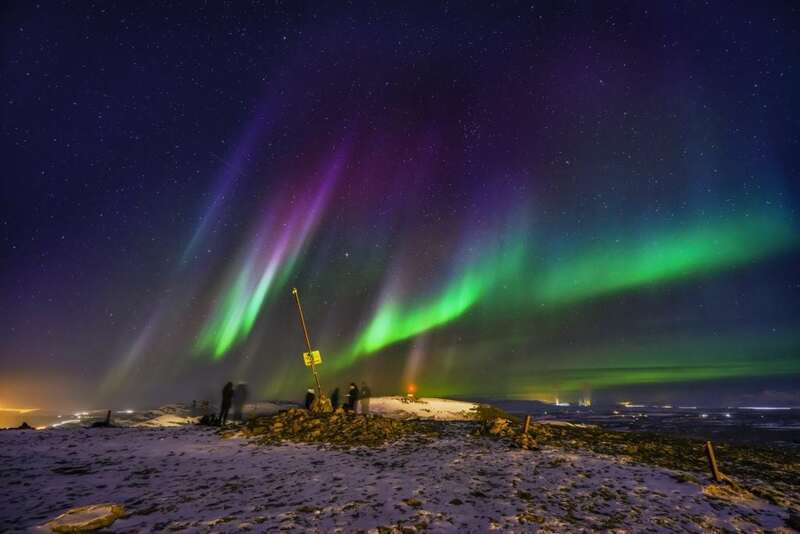 This is all explained in Valdimar’s film, “Chasing the Northern Lights” – which could be your only chance of seeing the elusive Lights if you are in Iceland during the summer months and even at some times in winter, if the conditions are not right. 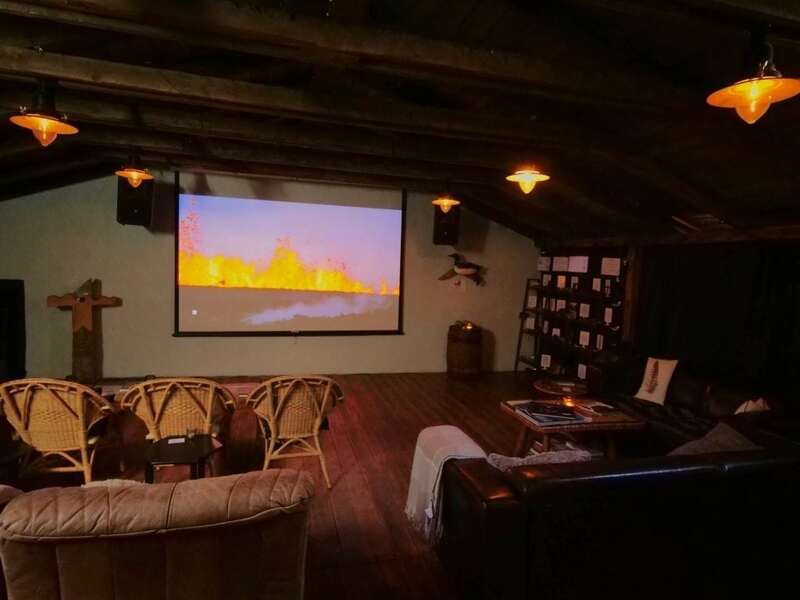 The films are shown daily at 5:00, 5:30 and 6:00 pm but if you are at the The Cinema at other times and the door to The Cinema is open, you are invited to come up to the loft of the old fisherman’s dwelling when, most often, it is possible to put on a special show for you. There are also more films to choose from and as a small exhibition of interesting Icelandic rocks on display. 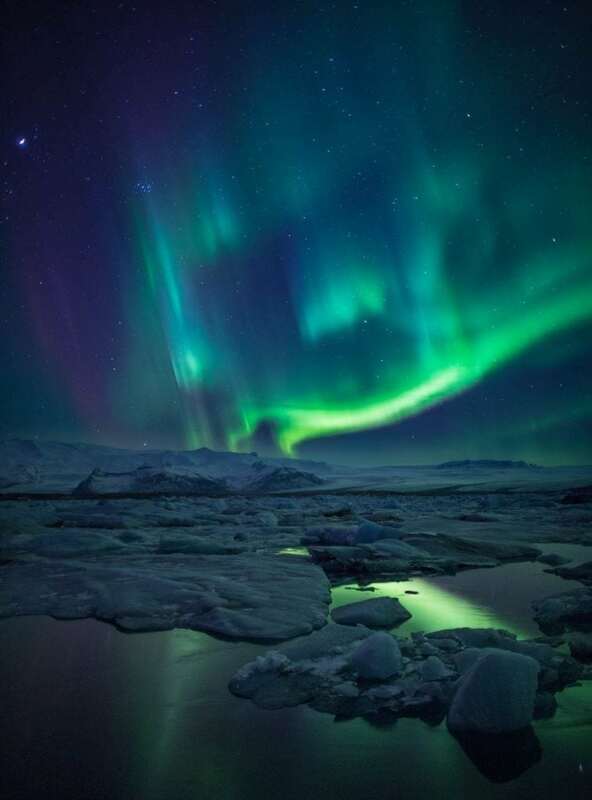 Valdimar and his family have extensive knowledge of places and things to do in Iceland and have often given their visitors good advice for their travels, as can be read in the reviews about The Cinema.